Every once and a while you see a phone that stands out from the overcrowded me-too iPhone/Samsung wannabe market. 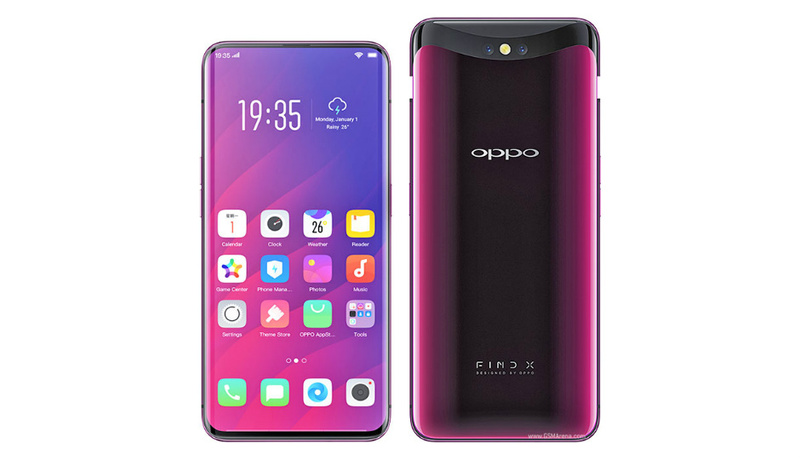 Ironically – given the fact that it has historically emulated many IOS interface features – that Chinese company Oppo is leading the innovation charge with its brand new Find X. So, what is all the fuss about? 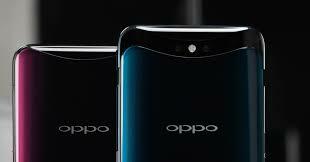 Simply put, Oppo has found a clever way to both do away with bezels AND avoid the dreaded screen notch. Having spent some quality time with the Find X, the big question on my mind is this: Will its innovative design be enough to make it a must-buy smartphone? The first impressions with the Find X are favourable. It is a very attractive piece of gear. 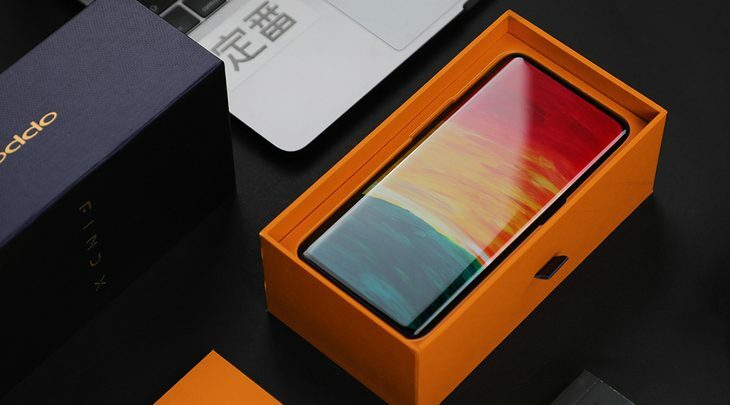 The big selling point with the Find X is that even though its screen is almost completely bezel-free, there’s no notch. It has a screen-to-body ratio of 93.8 per cent, making it an all-screen phone. The secret to this feat is a clever motorised slide out front and rear camera/earpiece that silently purrs into action when needed. My review device was finished in a stunning Bordeaux red (it also comes in Glacier Blue). With the front and rear hewn out of Gorilla Glass 5, both colours appear gem-like and semi-transparent, and seamlessly fade into a deep black. The effect is almost liquid-like and lends the Find X a real hint of sophistication. In the hand, it feels smooth but surprisingly isn’t slippery. Either way, a case is a must and to this end, Oppo earns brownie points by bundling a transparent silicone case with the phone. 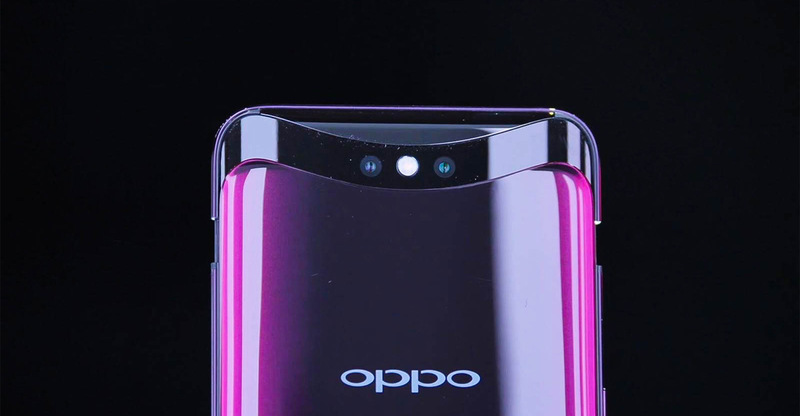 What Oppo calls the Stealth 3D Camera on the top of the Find X automatically and silently glides up when you unlock the phone, taking around a second to click into place. Its movement is so smooth and quiet that you’ll barely notice it. My first concern with the motorised sliding mech was that it could be just another thing to wear out, but Oppo says the Find X’s mechanism is engineered to handle 300,000 expansions and retractions, which is probably more than the Find X’s battery charge-cycle life expectancy. It comes with two rear shooters, one of which uses a 16-megapixel sensor and the other of which is equipped with a 20-MP sensor. In practice, this translates to a 2x optical zoom, which proved handy for framing shots. The Find X’s cameras delivered vivid and crisp photos. Indoors, they shot bright, well-defined photos although some image noise was noticeable in poorly lit situations. As with previous Oppo cameras, AI is baked in and it can recognise 21 different scene categories, tweaking camera settings for the best possible photos. Around the front is a dual 3D camera that can unlock the Find X. Like Apple’s iPhone X offering it has an illuminator, infrared camera and dot projector so photos cannot fool it. The dot projector places more than 15,000 infrared dots on your mug, which helps the Find X build a precise 3D model of your likeness. In short, it worked, and I had no problems unlocking the Find X in both sunlight and darkness. The front camera is also a dab hand at snapping workable selfies. The 25-megapixel photos it shot were surprisingly good, and its 3D AI Beauty technology even did a passable job with my ugly mug. The secret to the front camera’s magical wrinkle erasing abilities comes down to the Find X being able to create a 3D digital model of your face. Avoiding over-the-top beautification (so I didn’t look like a store mannequin or some weird alien) was as easy as previewing and tweaking beautification options in real time. The Find X also sports an impressive 6.4-inch FHD OLED display. On-screen colours are both vivid and bright with the screen doing a good job of rendering Netflix movies in exquisite detail. 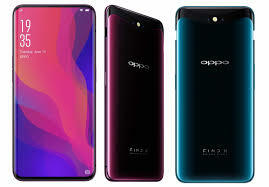 Oppo has also made the Find X very tweakable. You could spend hours in the settings menu. Apple users wanting a reasonably priced alternative to the excessively priced iPhone XS will want to tap the Smart & Convenient setting and then choose Navigation Keys. There, they can choose between using traditional Android virtual buttons or iPhone X-type gestures. Other gestures allow you to go into a split-screen mode (by swiping upwards on an open app using three fingers), and screen captures are possible by swiping downwards using three fingers. So, If those are the good bits, what about the not-so-good? There really isn’t a lot. Perhaps the most noticeable is the lack of a 3.5mm headphone socket. This means that Bluetooth is the order of the day or making do with the bundled adaptor dongle if you want to go wired. The Find X also doesn’t support wireless charging, but it does have what Oppo call super Vooc fast wired charging via USB-C. I was able to go from flat to full charge in just under 40 minutes. The only other downside of note is that the Find X doesn’t support NFC. Big gorgeous screens and gorgeous glass chassis aside, there is also plenty going on beneath the Find X’s slick exterior. It is powered by a Snapdragon 845 processor and a healthy 8GB dollop of RAM plus a whopping 256GB of storage. With light use, its 3730 mAh battery provides power for a day and a half and with heavier use, I averaged a full day before quality time with its charger was needed. The Find X sports a gorgeous design, and its pop-up cameras allow for a big all-screen experience that makes it a pleasure to drive. A powerful CPU means that it’s up for anything you’re likely to install and run. If you’re after an original phone with an upmarket look and feel, you really owe it to yourself to check out the Find X.